Today is Winter solstice or Dong Zhi and Chinese throughout the world is celebrating this important festival by having a bowl of glutinous rice ball soup called Tangyuan, It is usually 3 days before Christmas and after today, Chinese can start prepare for the arrival of Spring Festival or Chinese New Year. 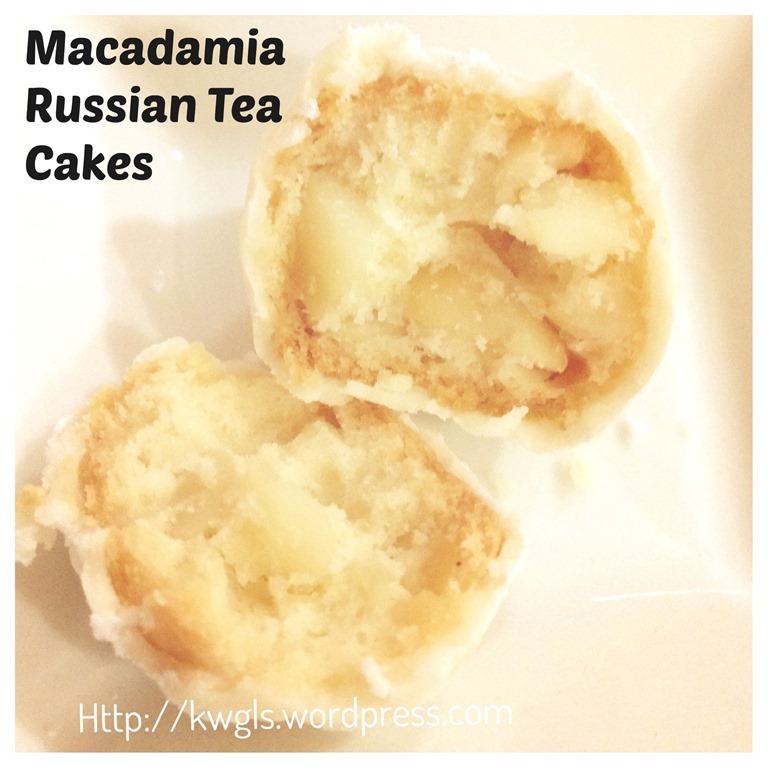 Today, I am sharing a recipe of a tangyuan look alike cookie, not originated from China but from Scandinavian countries. 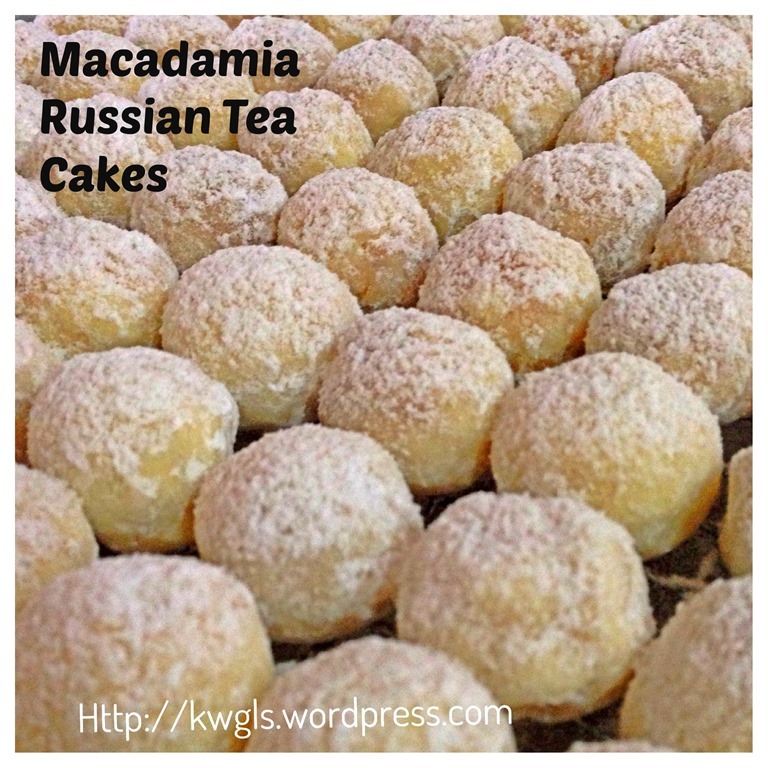 It is called Russian Tea Cake. 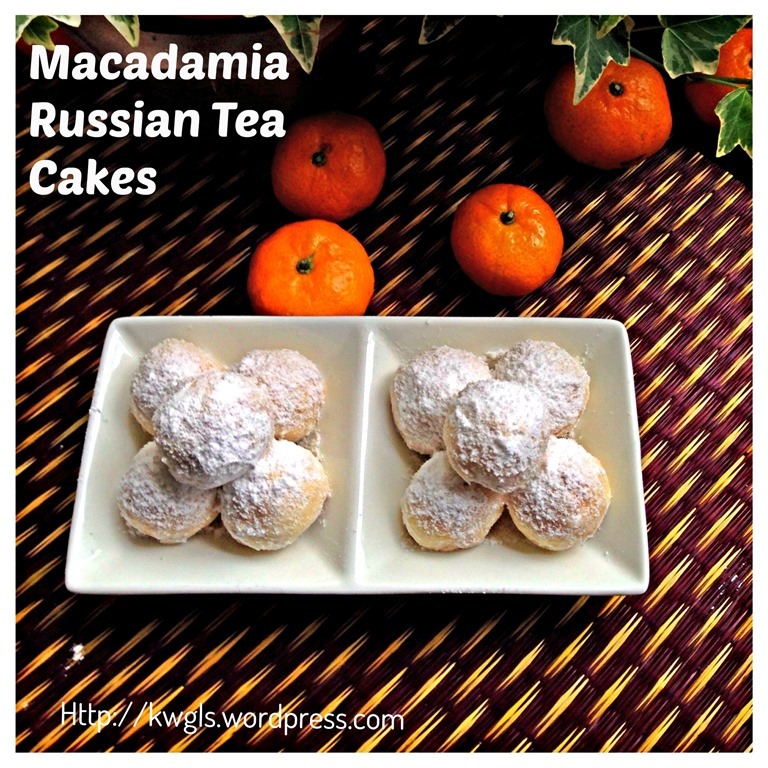 Scandinavians served this cookie during Christmas and the same cookie will definitely a hit in the Chinese New Year as it resemble one of the cookies commonly served during the Chinese New Year in Malaysia– Ghee cookies or Kueh Arab. It had another more common name, snowball cookies because of the dusting of icing sugar on the cookies. 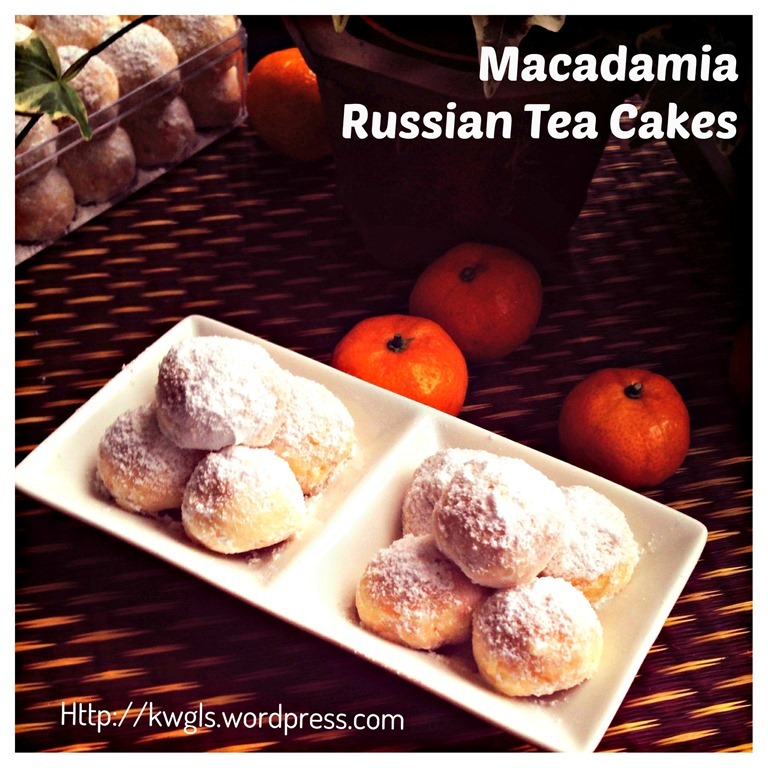 While I am visiting Ms. Danita Shipp Carr ‘s blog “O TASTE AND SEE”, I saw her Russian Tea Cakes. 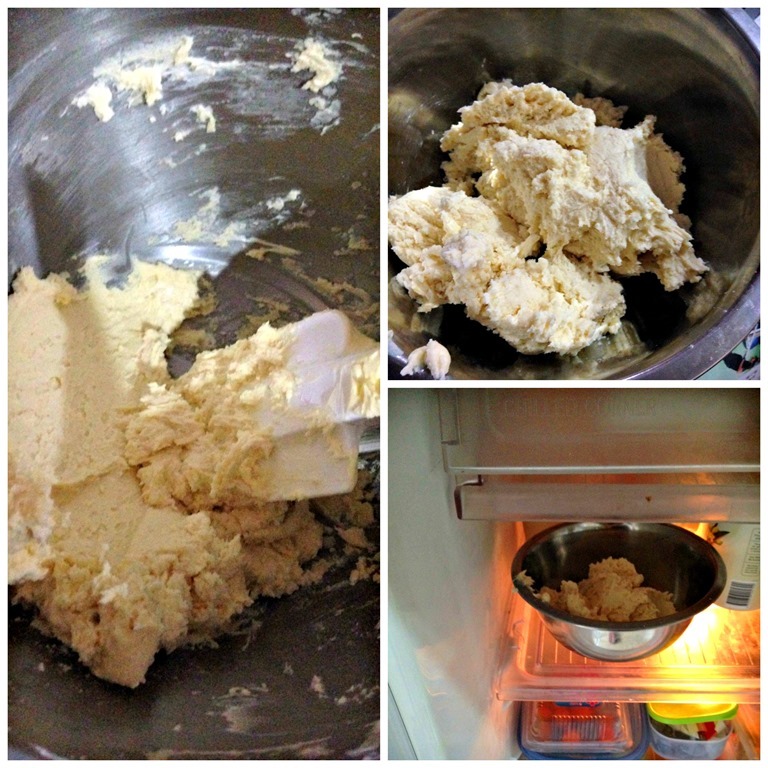 It immediately reminded me of the ghee cookies that I used to have when I was young. I missed the cookies as it is not that common in Singapore. Since the ingredients are simple, I have decided to try preparing the cookies with the leftover macadamia nuts that I have. (The original recipes uses pecan nut and other recipes called for walnuts or almonds). It was in the morning and I asked my kid to wake up earlier to help me to shape the cookie. Though they are 7 and 9 years old, their shaping is definitely better than mine. After the baking, when I took my first bite, I knew very sure that this will be a hit among the Chinese New Year. 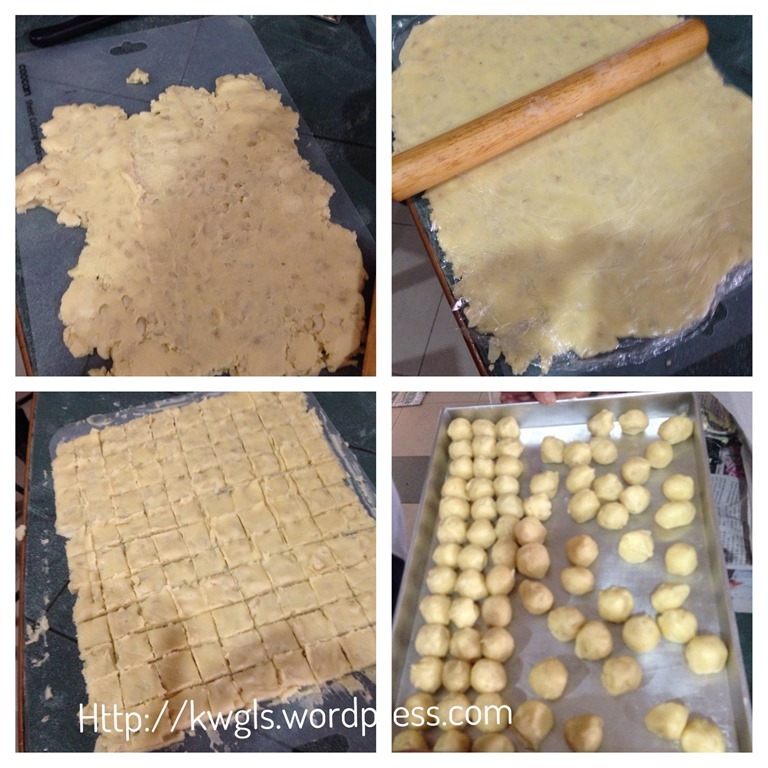 My initial intention is to prepare these cookies for a family gathering two days later, somehow, after one day, half of the cookies were gone….My family members keep popping into their mouth these delicious cookies. For my international readers, during Chinese New Years, most Chinese families will have open house inviting guest to visit their families. Possibly influenced by the British Colonization prior to the countries’ independence in the 1960’s, most Chinese families will serve Western butter pastries to their house guest. However, most cookies have been adapted to the local taste. One of the important localization is the size of the cookies. Chinese liked their cookies to be one bite size bearing in mind, there may be many types of cookies in a serving tray… Therefore, I have decided to make it into a common Chinese New Year cookie size – a 1.5 cm ball. Cream the butter and 50 grams of icing sugar until light and pale. 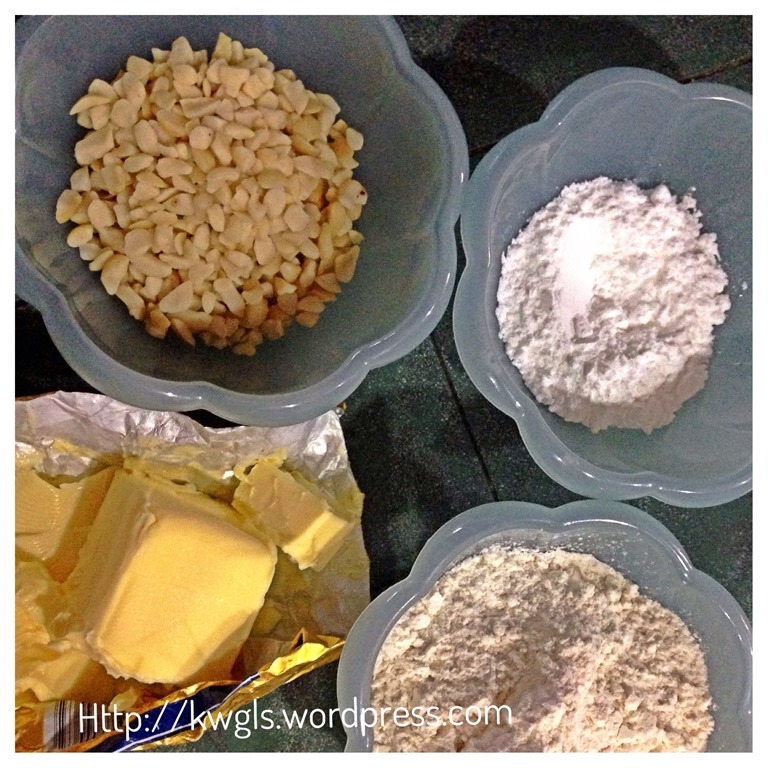 Sift in plain flour, use a spatula to stir until well mixed. Add chopped macadamia nuts, vanilla essences and salt, stir again until well mixed. 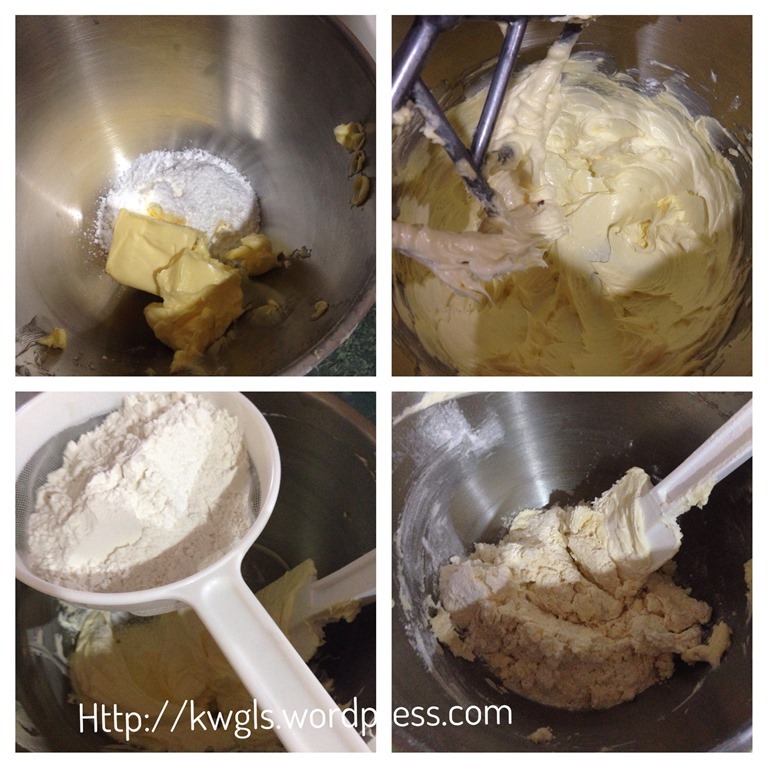 If you are able to handle soft dough, you can by pass this step. Otherwise, let it chill in the fridge until slightly harden which took about 10-15 minutes. This step is optional. Depending on your ability to divide the dough equally, you can either follow this step or use your own step. You can consider using a teaspoon to drop the dough to your desired size. In a flat surface, lightly flatten your dough. Put a piece of clingy wrap on top of the dough and use a rolling pin to roll the dough into a 0.5 cm thick flat sheet. Use a knife to cut into an even square shape. Take out one portion of the square doll and shape it into a ball using your palm. Due to Singapore’s hot weather, by the time your balls were shaped, it will be rather soft. Put the balls to the fridge again and chilled for 10-15 minutes. After 10-15 minutes, shape the ball again. Your balls should have a better shape now. Baked in the oven for 10-12 minutes. Immediately when the cookies are out of oven, get ready a bowl of icing sugar, transfer the cookies to the bowl and roll against the sugar powder. Take out and put in a wire rack and cool completely. 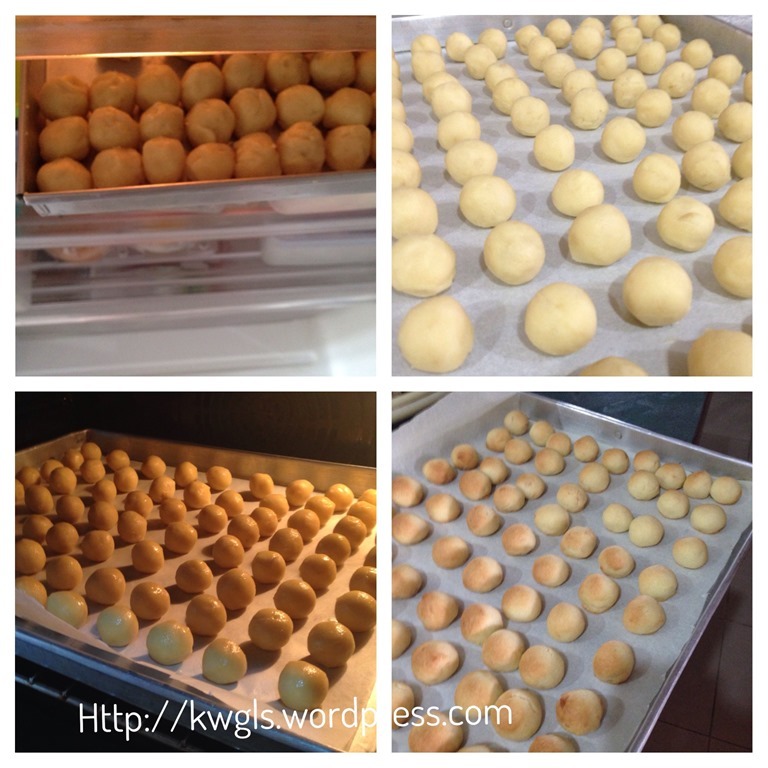 In this process, care have to be taken to handle these balls as it is still hot and fragile. 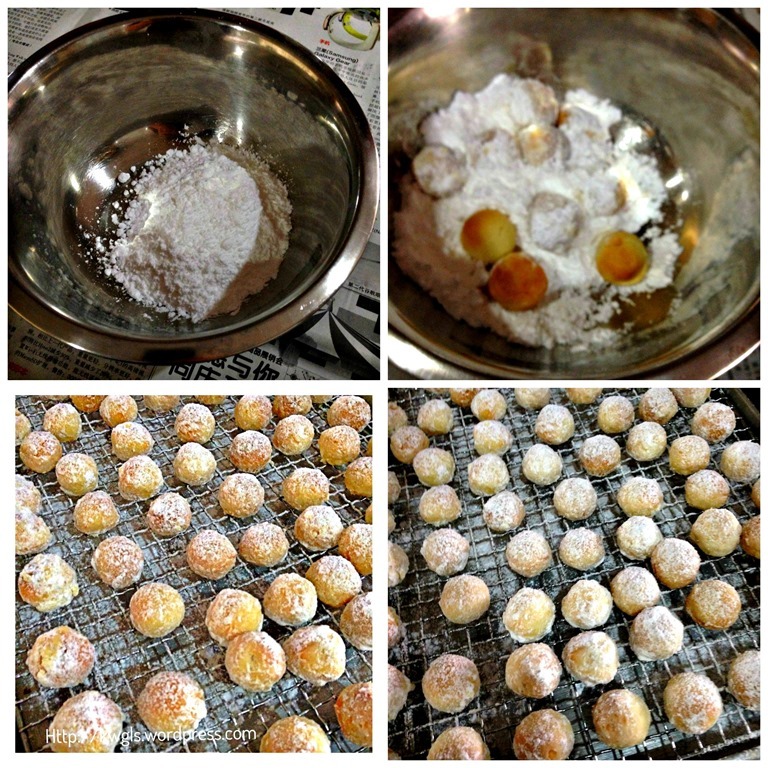 Once the balls are completely cooled, roll against the icing sugar again. Keep the cooled cookies in an air tight container. It is rather seldom that the cookies that I prepared were well liked by all the family members. 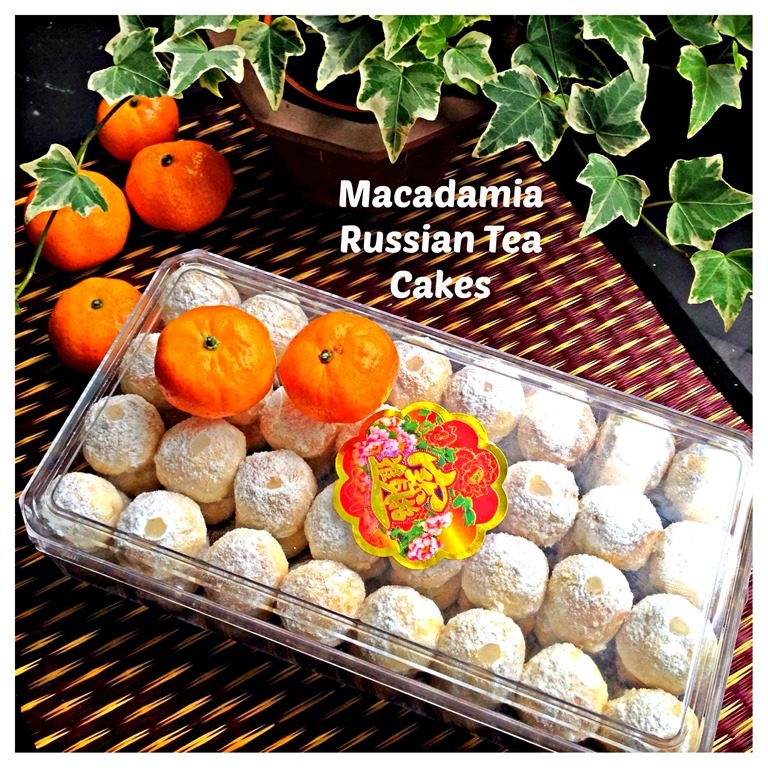 This is one of the exceptional The inclusion of macadamia nuts not only enhanced the taste but also make it a presentable New Year or Christmas gift. 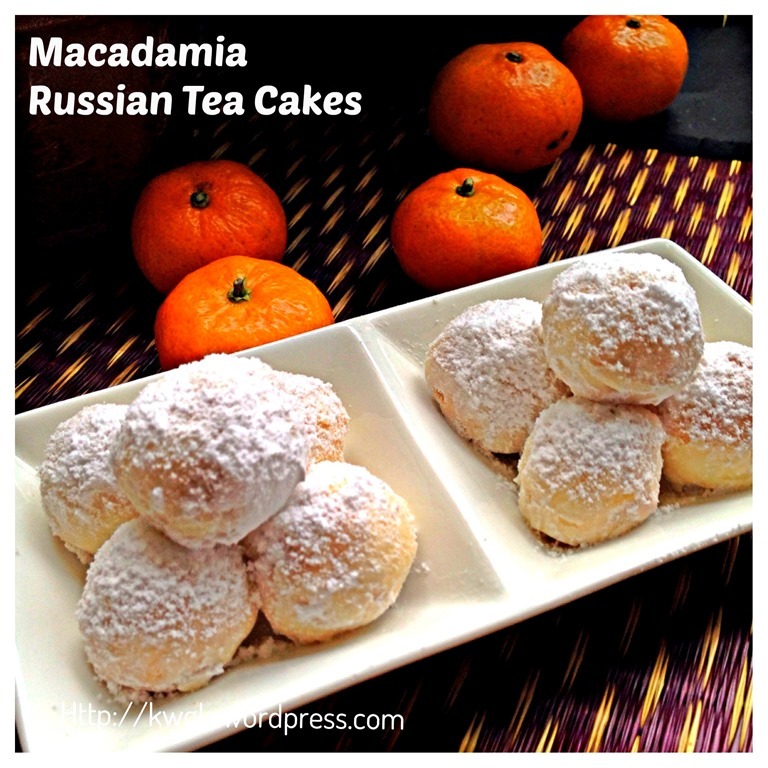 This entry was posted in Cakes and cookies, Chinese New Year 2014, Food Preparation Series and tagged 8, Chinese New Year 2014, GUAI SHU SHU, Guaishushu, kenneth goh, Macadamia Russian Tea Cakes, postaday, Russian Tea Cakes. Bookmark the permalink. 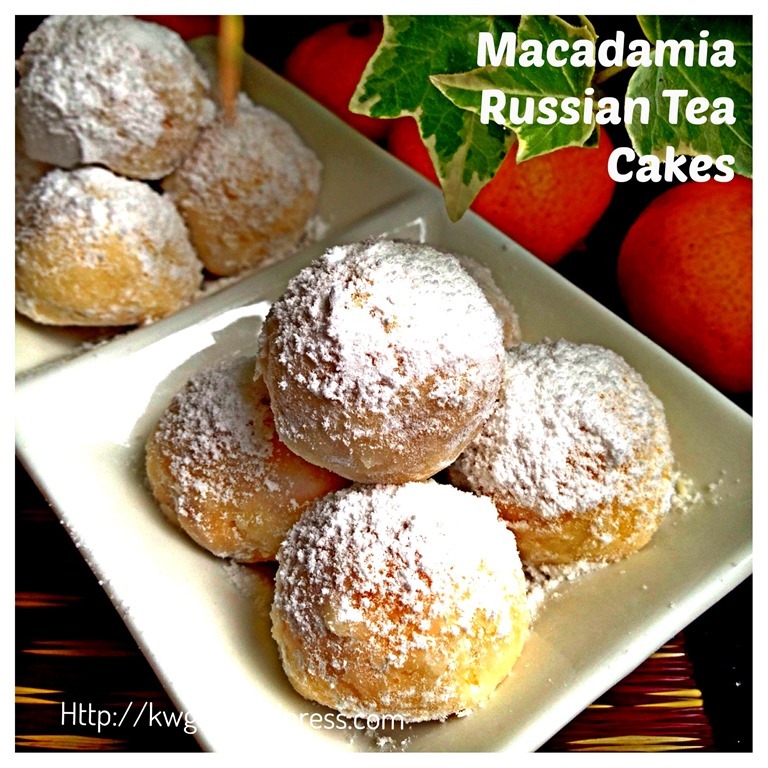 Thanks for trying my Russian Tea Cake recipe. These look really good! 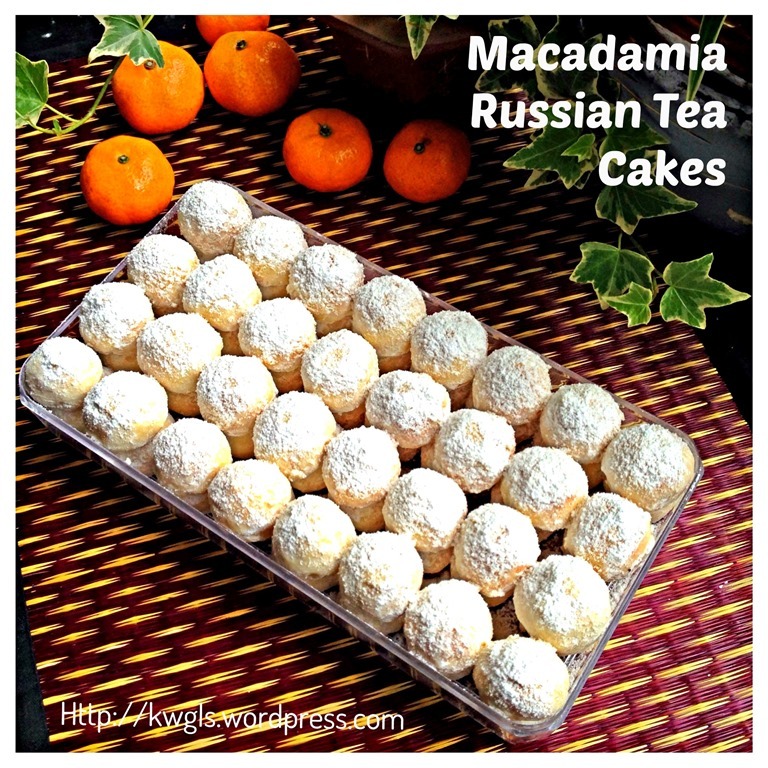 I love the Macadamia nut idea. Thanks for linking back and I’m so glad your family liked them. Hi, Ken! I stopped by from the Four Seasons Blog Hop. I pinned your post! Thanks for sharing it with us!! These look so good! I love the powdered sugar coating! Thanks for sharing on The Four Seasons Blog Hop! Sandra from Scrumptilicious 4 You! 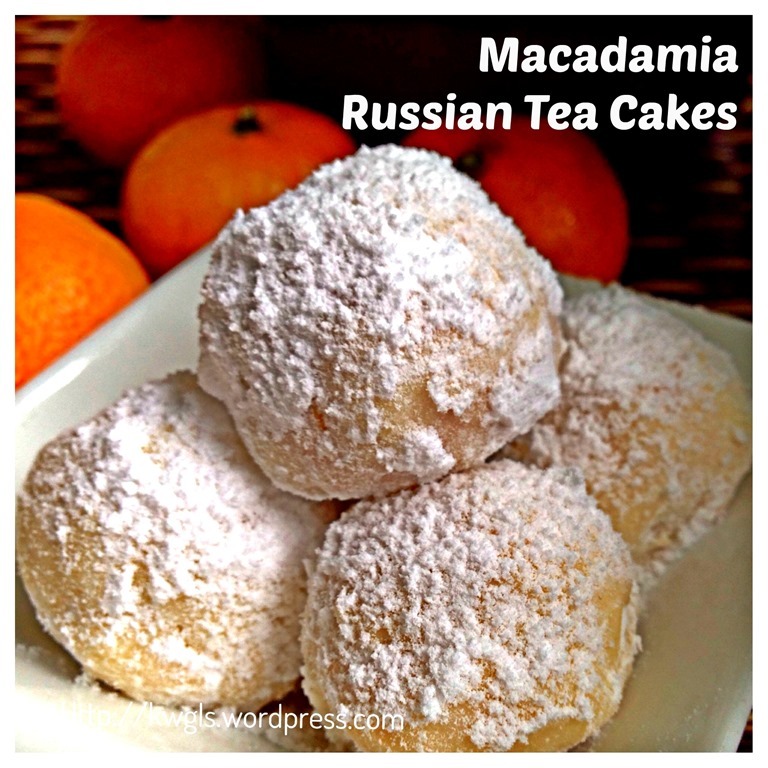 These are one of our favorite cookies! Thanks for sharing on The Four Seasons Blog Hop! Sandra from Scrumptilicious 4 You! 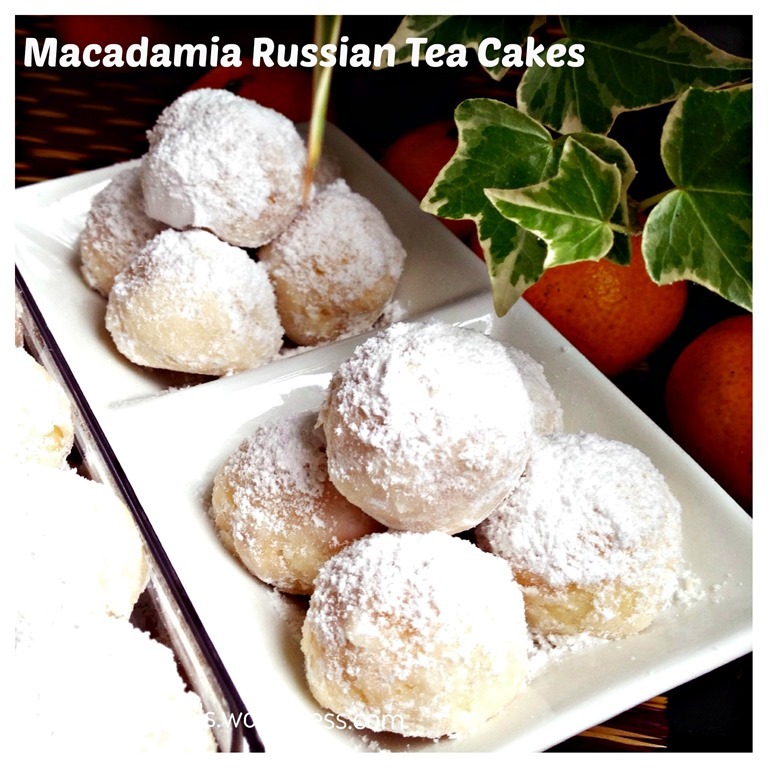 Stopping by from the Best of the Weekend party – I love Macadamia nuts so these cookies look heavenly! I also love that the recipe only has 5 ingredients (other than salt). These look and sound delicious. 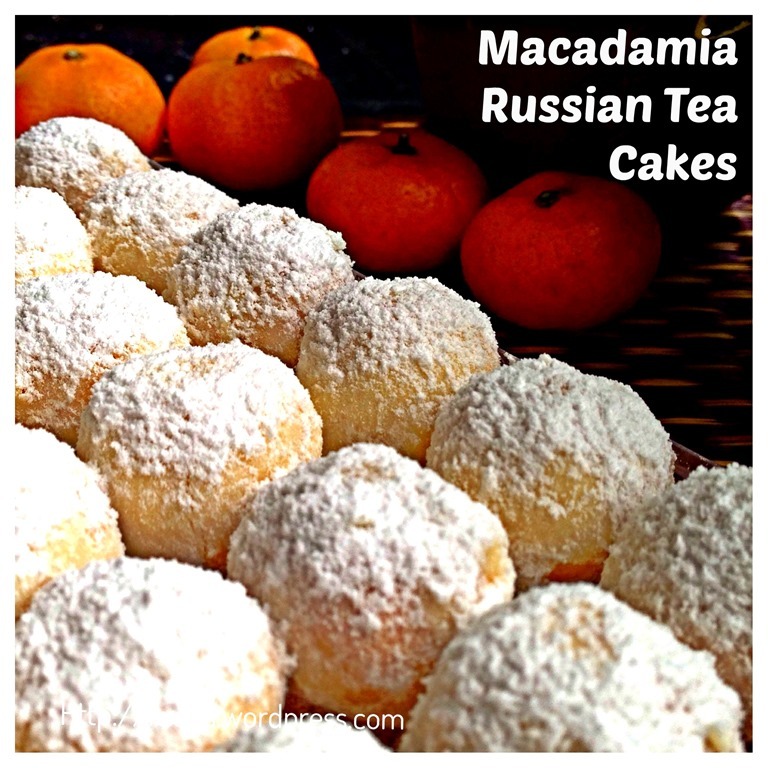 I’ve never had Russian Tea Cake Cookies but I think it’s time I gave them a try. The recipe looks quite easy.